As you’re probably aware, Facebook has recently been involved in a scandal. The short story being that data harvested through Facebook was then sold to a company which used it to help political parties target voters How Your Data on Facebook Is Collected and Used to Win Elections How Your Data on Facebook Is Collected and Used to Win Elections What do you do when your Facebook data is harvested and manipulated to influence the course of international politics? Read More . Which put Mark Zuckerberg on the spot. The Cambridge Analytica scandal Facebook Addresses the Cambridge Analytica Scandal Facebook Addresses the Cambridge Analytica Scandal Facebook has been embroiled in what has come to be known as the Cambridge Analytica scandal. After staying silent for a few days, Mark Zuckerberg has now addressed the issues raised. Read More led to calls for everyone to delete Facebook, and for the social network’s share price to drop. However, once the dust has settled, will there be any longterm consequences for Facebook? A new poll suggests trust is now an issue. An online poll conducted by Reuters/Ipsos found that just 41 percent of Americans trust Facebook to “obey laws that protect their personal information”. Which, by extension, means that 59 percent of Americans think Facebook is capable of flouting those laws. 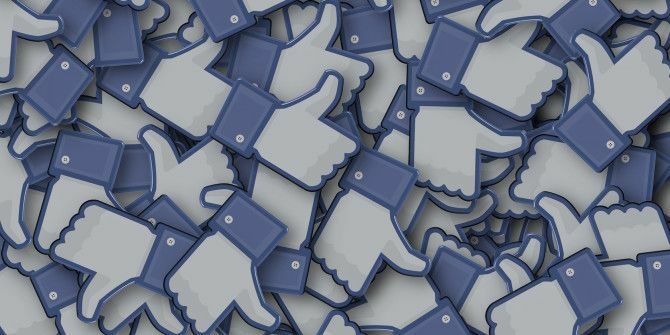 The poll, which collected the views of 2,237 people across the United States, found that—at 41 percent of the population—fewer people trust Facebook than Amazon (66 percent), Google (62 percent), Microsoft (60 percent), and Yahoo (47 percent). This shows how far people’s trust in Facebook has fallen. After all, in the Echo, Amazon has a device always listening for a wake-up word, Yahoo has suffered serious security breaches All 3 Billion Yahoo Users Were Hit by Epic Hack All 3 Billion Yahoo Users Were Hit by Epic Hack Yahoo originally thought that 1 billion users had been caught up in its security breach of 2013. However, it turns out that all 3 billion Yahoo users were affected. Including you... Read More in recent years, and neither Google or Microsoft is squeaky clean either. However, in light of the Cambridge Analytica scandal, and previous revelations including its history of secret experiments Facebook's Fascinating (and Disturbing) History of Secret Experiments Facebook's Fascinating (and Disturbing) History of Secret Experiments Facebook has a tremendous amount of power, but doesn't always use that power for good. These experiments pushed the boundaries of ethics. Read More , people’s trust in Facebook has been eroded. And it may take more than reassurances from Zuckerberg to regain people’s trust. To be fair to Facebook it’s important to remember that if you’re getting something for free then you yourself are the product. Corporations are not known for their charitable acts, so either through data collection or advertising you are paying for these services. Facebook has already made changes to the way it operates, and is likely to do more in the future. And who knows, perhaps people’s trust will slowly return. In the meantime, just be damn sure to check your Facebook privacy settings 4 Vital Facebook Privacy Settings You Should Check Right Now 4 Vital Facebook Privacy Settings You Should Check Right Now Facebook's been changing privacy options again. As usual, the default option is for you to be oversharing your details, so here's what you need to know to set things right. Read More as soon as you finish reading this. "Over Half of Americans Don't Trust Facebook"
And yet over half of Americans have been using it for years with the majority posting intimate personal details of their lives on it, and Now they have the audacity to complain when their publicly facing 'data' is being used? If you want your 'data' private, then don't post it online. PERIOD. "An online poll conducted by Reuters/Ipsos found that just 41 percent of Americans trust Facebook"
I am surprised at such a high percentage of gullible people. I would have expected that after all the shenanigans that FB pulled, less people would trust them than trust used car salesmen and politicians. "in light of the Cambridge Analytica scandal"
NO. The scandal is FB selling user and non-user data. I do not have a FB account. Never did. But I DO have a folder of data that FB harvested. I can see, and maybe even tolerate, being the product if I use a companies services but I draw the line at being monetized when I do not have any connection to a company whatsoever.